The only goal of a person who is attempting to scam you is to get money out of you for a promise of a prize that is never going to appear. 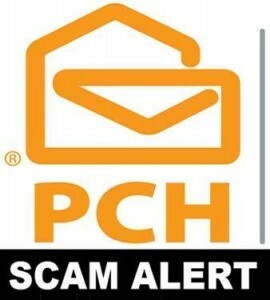 The latest technique of the Publishers Clearing House scammers is to use Facebook Scam. They will construct Facebook pages that look like they are official Publishers Clearing House pages, and the will use them to convince people that they have won. 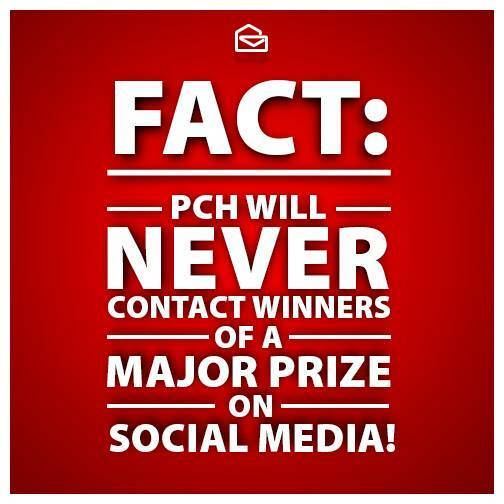 Publishers Clearing House will never contact a major prize winner via social media. Sometimes people want to win so badly, that they throw all caution aside and just hand over a fee, or a “processing cost,” just because they don’t think. Beware, there are legitimate ways to fine out if you have really won. Always Be Vigilant! « How Would You Benefit From $7,000 a Week for Life Deposited in Your Bank Account? I just want to say thank you because I just found out today, December 04, 2016 the answer that I always ask to myself if this is true or fake. Almost everyday I spend my time all day playing to search a free entry and try my luck but honestly I don’t have any idea about Pch sweepstakes. I said to myself it’s not a bad idea if I will try and i really don’t know if this is true, I said it’s free anyway so why not. So I don’t know anything about scam but I really want to win something because I need it at least to help me to move my family into self-sufficiency. I barely start working as a part time only but aiming full-time job so I can provide to my family even just basic needs especially to my 13 years old daughter. So I need a little help not for myself but for my family. So my urge to win I did my best to find a way that all the efforts that I did is not going into a waste. And hopefully be the lucky one that could change our life if not the best at least into a better one. Thanks a lot. I put this on Danielle Lam. Now “How to know if it’s a scam. About 112 Friends on my Facebook. I sent it to all. I got another SCAM Postcard. The wanted Shipping & Handling $3.99 for each item. SCAM. It said I won $100.00 + Walmart Gift Card = $50.00. ( Will the real PCH/Blog please Stand UP) PCH or Blog “Bonus” prizes I would love any of them. But especially, Walmart gift cards or Starbucks gift cards or Cash cards. Ford XLT. ( IF I Win ANY really “BIG” prizes, Then that’s great. #4950– Any of the following (if I don’t win the SUPER “Win IT All” prize.) #4902/# 4950= $1 Million Dollars. I am very tired. I promised Mike that if I got too tired I would Do more tomorrow. Some games & Prize scratch or instant win cards. So thats all. If I did win a large amount, we would get a Financal (Spelled wrong. Can’t think now) Advisor. Consultants. $ 1 Million Prize. “PROMO” Subway. I’ll also check on their .Com sites. Tommorow. I do any thing that could be done for this chance.any thing any were so I pray lord. This is what I’m afraid of,so far no one has called yet,I’m glade I found out now,pch never calls anyone.I wouldn’t give money to anyone any way,I don’t no.I Need my money for food & paying May bills,I’m on a fixed income,can’t even buy a Christmas card,to send my sister. I received a friend request from Danielle. When they asked for my phone number-I gave them the number of our local sheriff’s department. No more contact. Lol. This is the first contact I have made.